The number of exhibits in the Museum collections is permanently growing through donations, acquisitions, field research and transfers. Thus, in 2009 the collections were enriched with 1,538 objects of historical and artistic significance, including 1,042 archaeological objects, 92 numismatic pieces, 29 photographs, 24 documents, 4 objects of weapon and military equipment, 95 ethnographic and household items, 13 objects of technical equipment, 29 objects of decorative art, 5 paintings, 70 philatelic objects, and 135 objects classified to “miscellanea”. clothing that belonged to the composer Zlata Tcaci. In the period 2012-2013 the heritage of the National Museum of History of Moldova was enriched with 9389 pieces, including 4087 in the main collection. The objects entered the museum collections through donations (2442), acquisitions (157) and transfer from the former Museum of Archaeology of ASM (6214) and State Treasury of Republic of Moldova (576). The main museum heritage collection was increased with 5087 objects, including: 2538 archaeological items, 536 numismatic objects, 88 ethnographic and usual objects, 9 technical objects, 79 photographs, 93 documents, 108 paintings, 208 pieces of decorative art, 120 philately objects, 2 furniture objects and 296 marked with „other". - Collection of objects, books, sketches and paintings signed by painter E. Childescu. Between 2014 and 2015 the museum heritage has increased by 6 578 pieces, including 2 530 in the main collection. 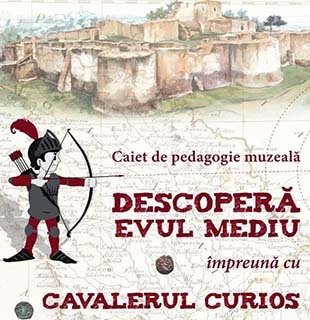 They entered the museum through donations, purchases, transfer from the former Museum of Archaeology of ASM and the State Treasury of the Republic of Moldova. -	Materials about the activity of the National Olympic Committee of the Republic of Moldova.